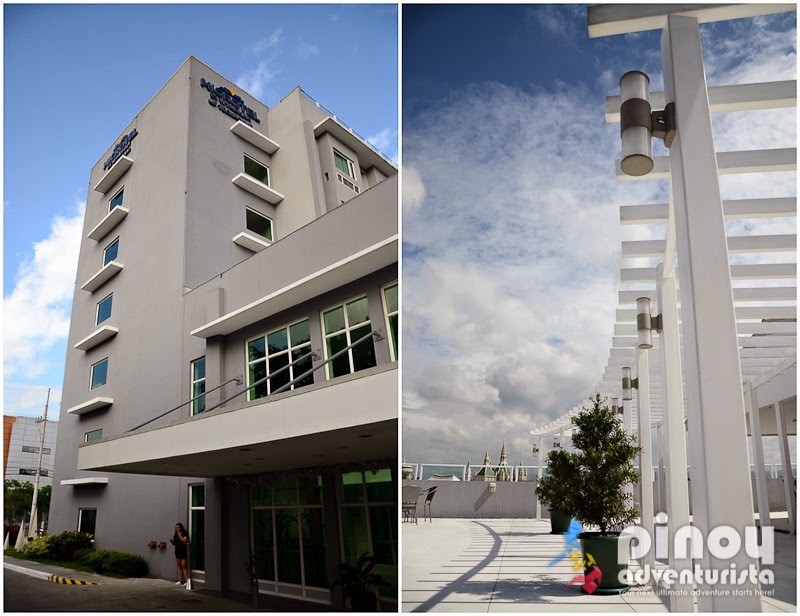 Strategically located at the middle of the booming IT and commercial development of UP-Ayala Land along Commonwealth Avenue in Quezon City, Microtel UP Technohub is the newest property of Microtel by Wyndham Hotel group in the Philippines. 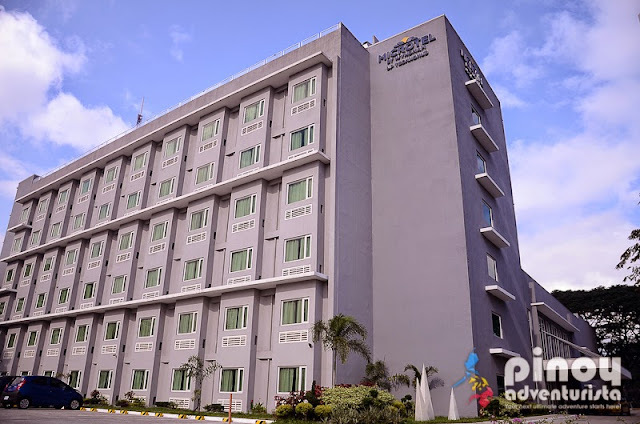 A member of an international hotel brand, it is a 6-storey, 120-room hotel highlighting a tranquil and peaceful accommodation at the heart of a PEZA-listed industrial complex where businesses, companies, BPOs, restaurants, and numerous commercial establishments abound. 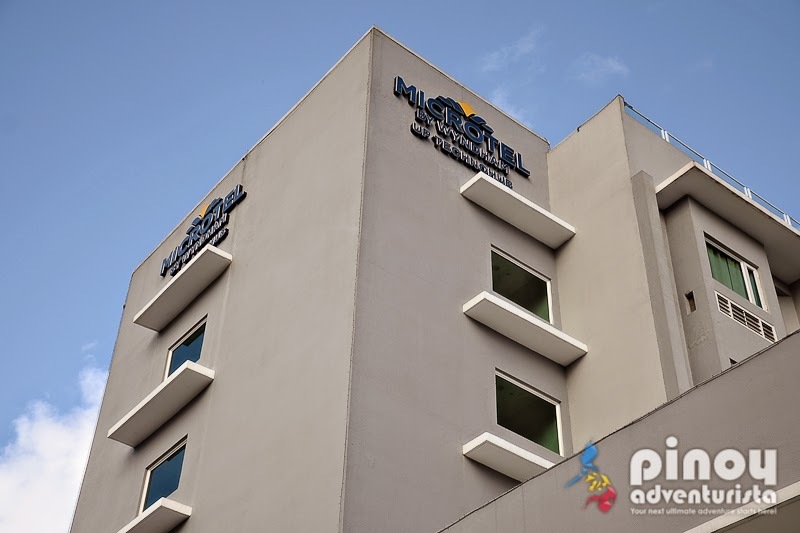 Microtel by Wyndham is an international chain of hotels located in different parts of the world, such as the United States, Canada, Mexico, and the Philippines. It is a member of the Wyndham Hotel Group, a well-known brand in the hotel industry in the Philippines that brings international hotel accommodation standards at reasonable rates. 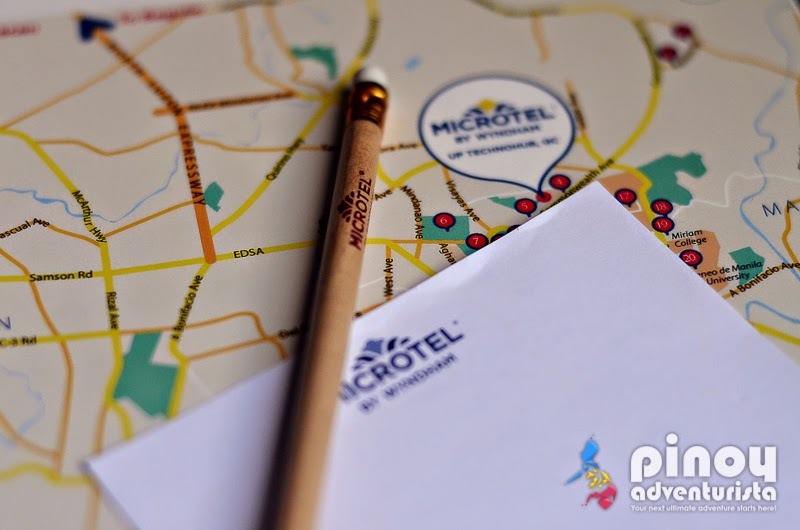 In the Philippines, Microtel by Wyndham hotels are located in key cities and provinces such as Baguio, Tarlac, Batangas, Cavite, Boracay, Davao City, General Santos City, Cabanatuan, Puerto Princesa, South Forbes (near Nuvali Sta. 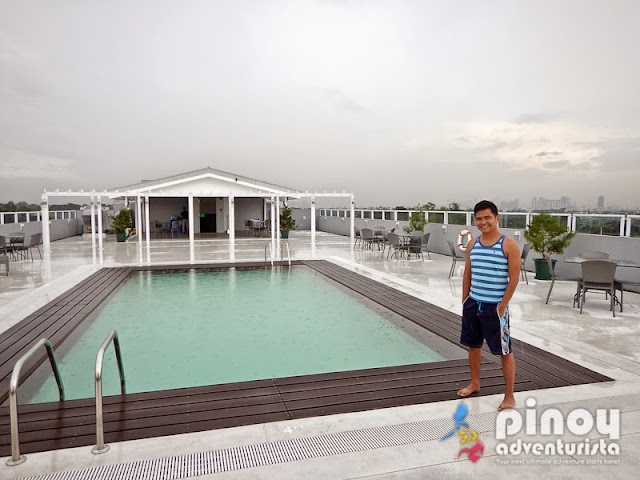 Rosa, Laguna), Acropolis (Quezon City), UP Techno Hub (Quezon City), and Mall of Asia in Pasay City. 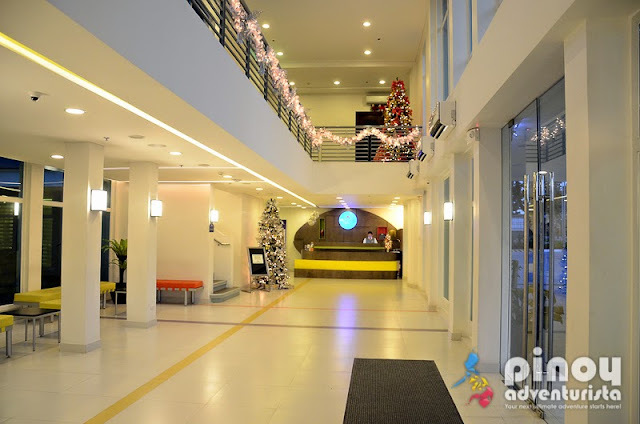 In November 2014, we were given a complimentary stay at Microtel by Wyndham in UP TechnoHub, QC. 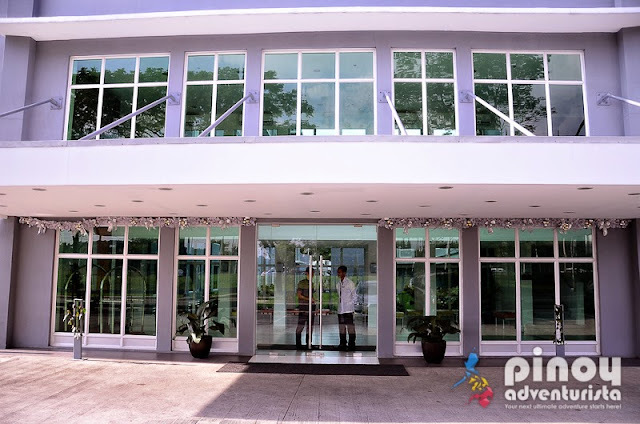 Upon arrival at the hotel, we were warmly welcomed with sweet smiles by the hotel staff stationed at the lobby and assisted us to the reception area. I was quite impressed as we entered the hotel lobby and saw the lovely interiors. I didn't fail to notice the cutesy and colorful chairs and the huge space with lush greenery seen from the glass window. We then proceeded to the front desk to arrange our booking for 2 nights. Since we already have a reservation, checking-in was a breeze; it only took us about 5 minutes and we were given the electronic access key card to our room. 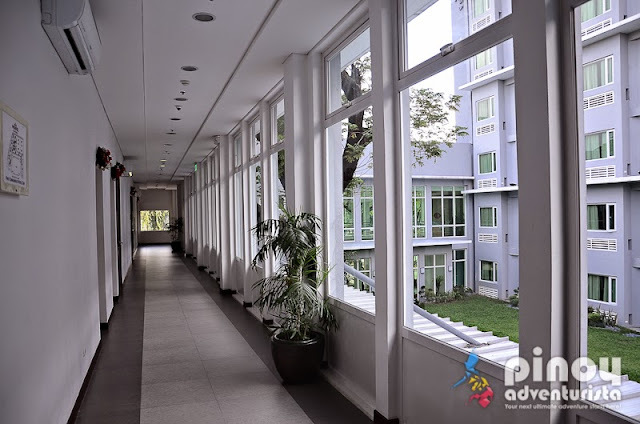 We were then ushered to our room located at the 5th floor. I'm happy with their elevator as it is new, fast and efficient. Upon entering our room, I was instantly impressed. 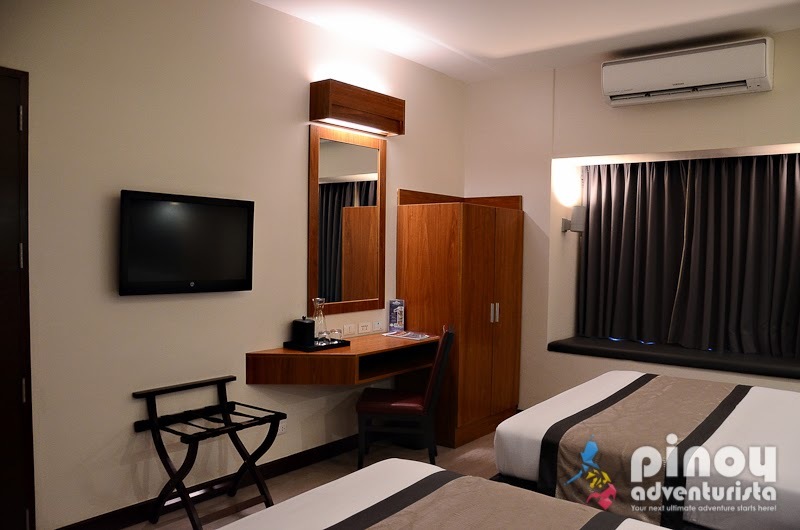 It's a well-appointed and spacious Queen Double Room that is clean and smells fresh. It has an array of essential amenities needed for a comfortable stay. It has 2 lovely chiropractor-approved queen-sized beds that are not too soft yet very comfortable. I quickly tried it and I felt like I am melting into the bed as I lay my tired back on it. 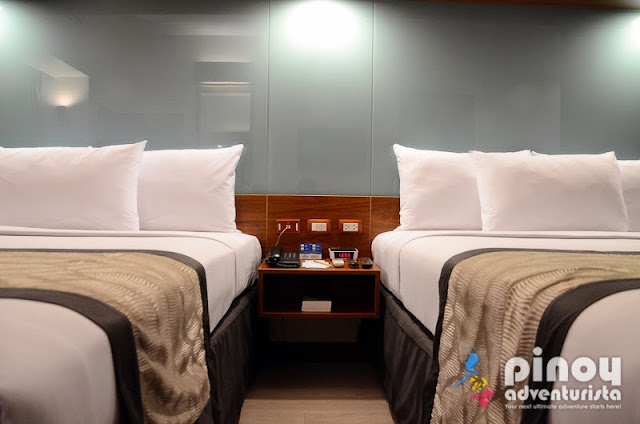 The beds are coupled with neatly fixed white sheets, huge fluffy pillows and fresh clean comforters that perfectly compliments the comfortable bed. 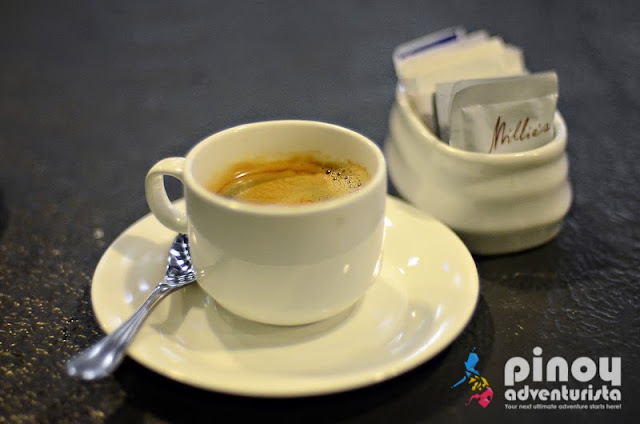 They were joined to one side by a tiny bed table with a telephone and a radio-alarm clock. 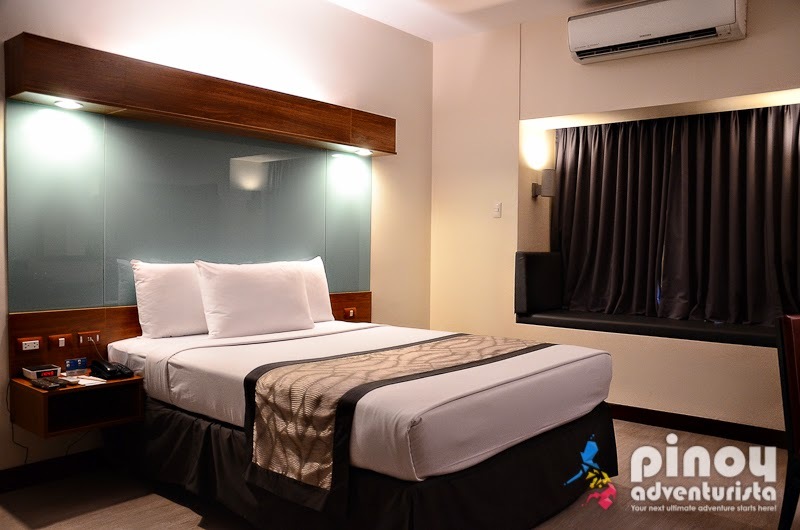 The room is spacious and features modern and classy interiors with top-notch facilities and amenities. 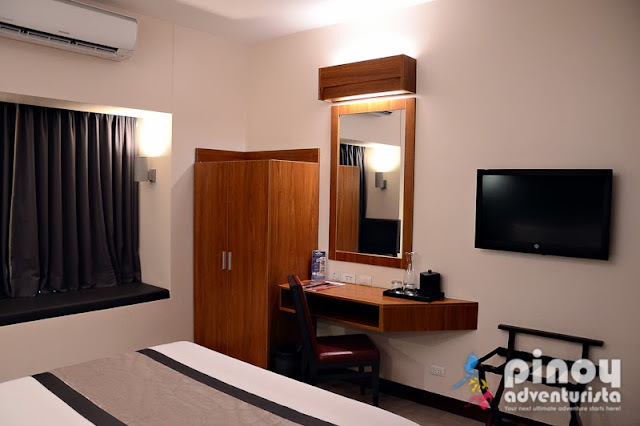 Other room amenities include an en suite toilet and bath with lovely bathroom fixtures and amenities, an LCD TV with cable channels, a closet, an in-room safety deposit box, luggage rack and a work desk. It also has an individually controlled air conditioning unit, so adjusting it to your preferred temperature is not a problem. WIFI connectivity is also available inside the room and it's for FREE! As I sneaked into the toilet and bath, I was also impressed. 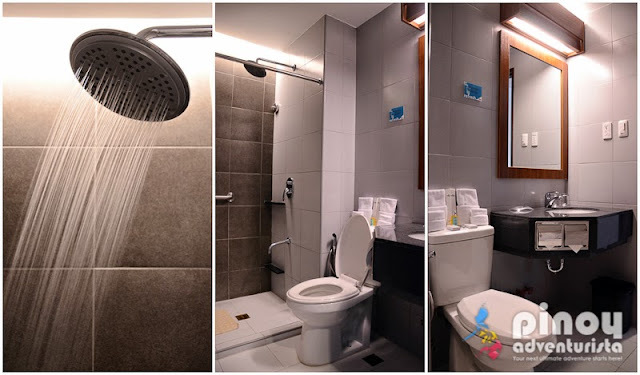 I always believe that it is important to have a bathroom that is clean, organized, well lit and smells fresh. 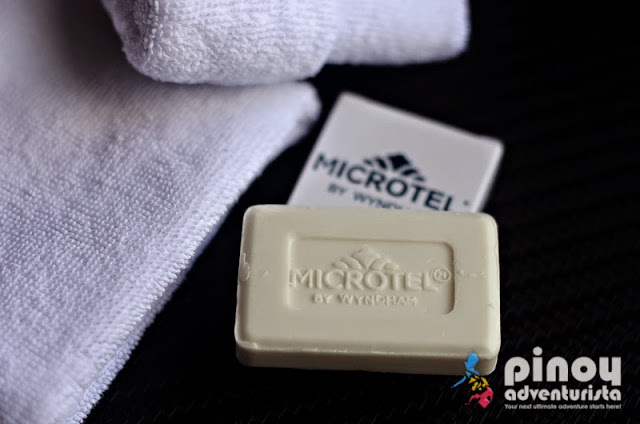 Microtel UP Technohub did not disappoint me; from the sink to the water closet with bidet, to the shower area with rain shower feature, they are all clean. Toiletries such as shampoo, bath soap, tissue paper and dental care kits were also provided. The body and hand towels are clean and smell fresh! Also worth a mention is the excellent water pressure! I love it! Everything I need are here! I couldn't ask for more! The room's modern and classy interiors will surely give every guest an engaging and relaxing feel. 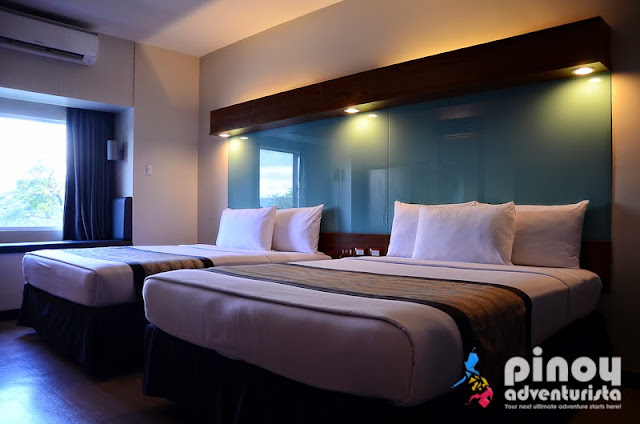 The huge space, comfortable beds, awesome view from the window and the adequate lighting inside is just enough to give you a relaxing sleep. Microtel by Wyndham UP Technohub has a total of 120 well-appointed and modernly designed air-conditioned rooms. Rooms come in 2 types (queen double and suite); of which 5 are accessible rooms. Each room offers facilities and amenities that caters to the varying needs of its guests. 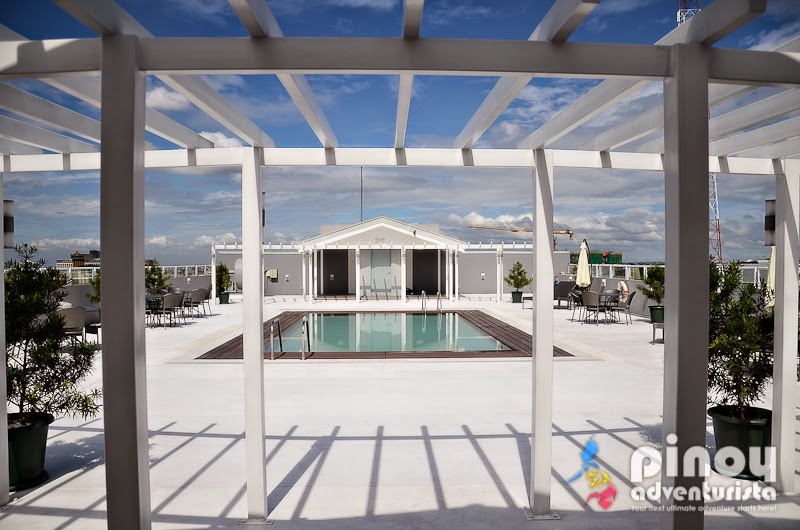 You can choose a room with a splendid view of the courtyard or a very nice view of the city. Suite Rooms are corner rooms with a spectacular view the garden. 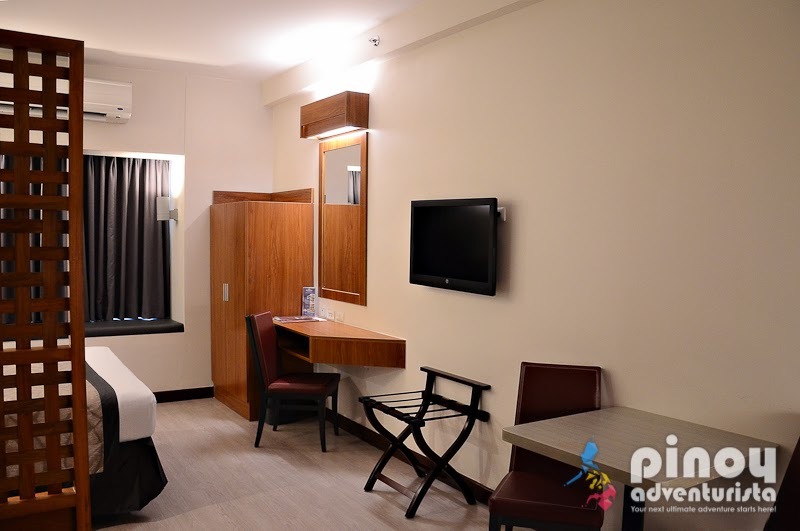 It has 1 queen-size bed and is equipped with the much needed facilities needed for a comfortable stay. It also has a a small living area with a sofa that can be converted into a bed which can be used by extra occupant in the room. Additional amenities includes coffee/tea making facilities, personal refrigerator, microwave oven, kitchen counter with sink, a small dining area, an air-conditioning unit, a cabinet, a television set with cable channels, a telephone and a small work desk. 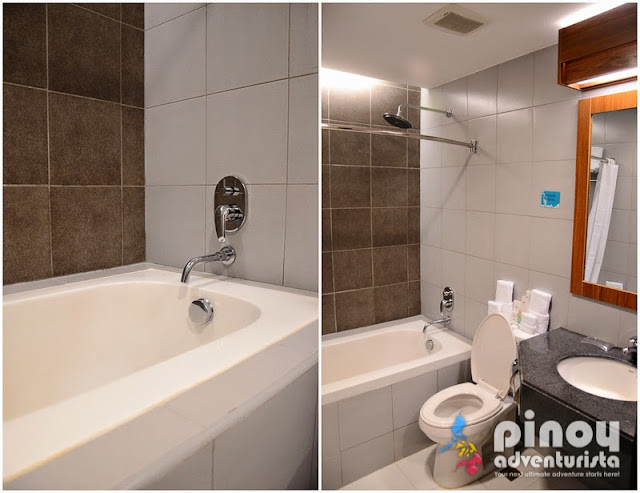 The toilet and bath is also spacious and very clean. It has a sink, water closet with bidet, hot and cold shower and a bath tub. 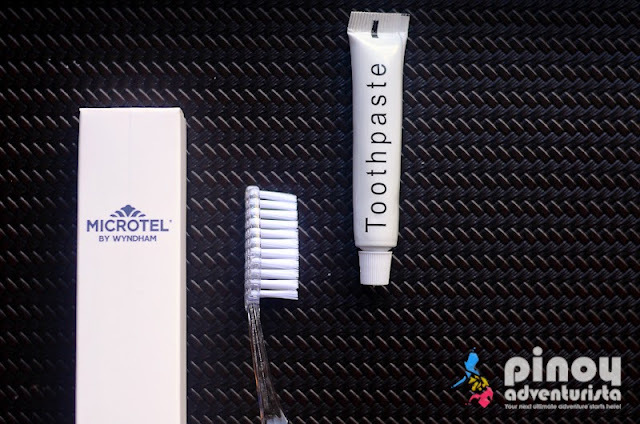 Clean, fluffy towels and toiletries were also provided. The suite room is definitely spacious and has all the much-needed amenities. 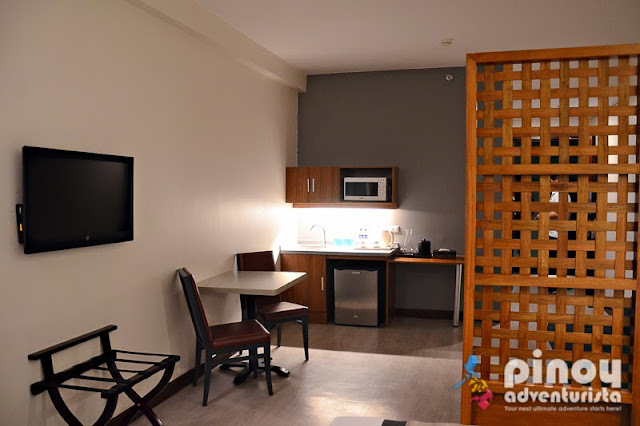 The room is thoughtfully decorated, minimally-designed and well-organized, which I like. A total of 5 rooms are designed as accessible rooms. 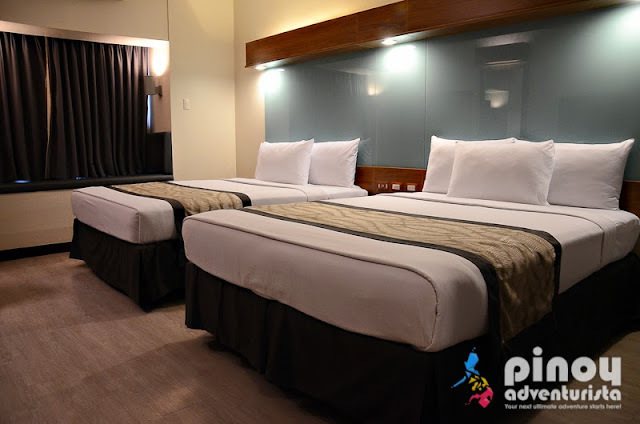 They are all located at the ground floor and each room can be connected to a queen double room. 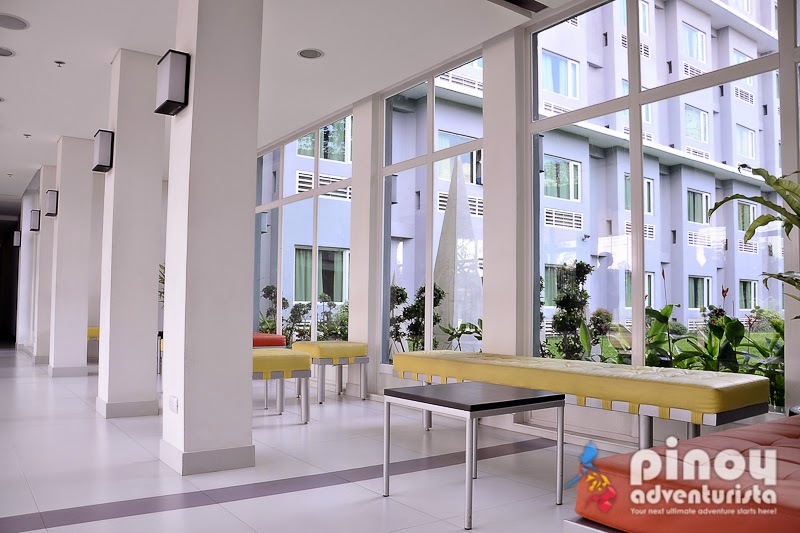 As these rooms are specially designed for persons with disabilities, it is very spacious which allows more space to move around. 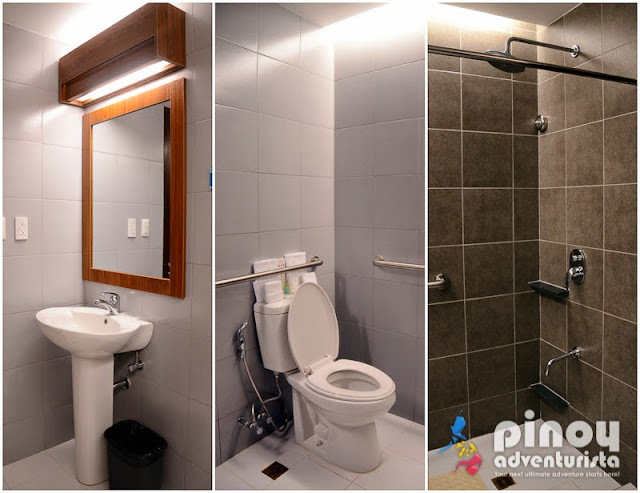 The toilet and bath is also designed for disabled persons with hand rails and more space to let a wheel chair in. Very nice! They also have stand-by wheel chairs for use of hotel guests. Microtel by Wyndham UP Technohub's F&B service is named Millie's Restaurant. 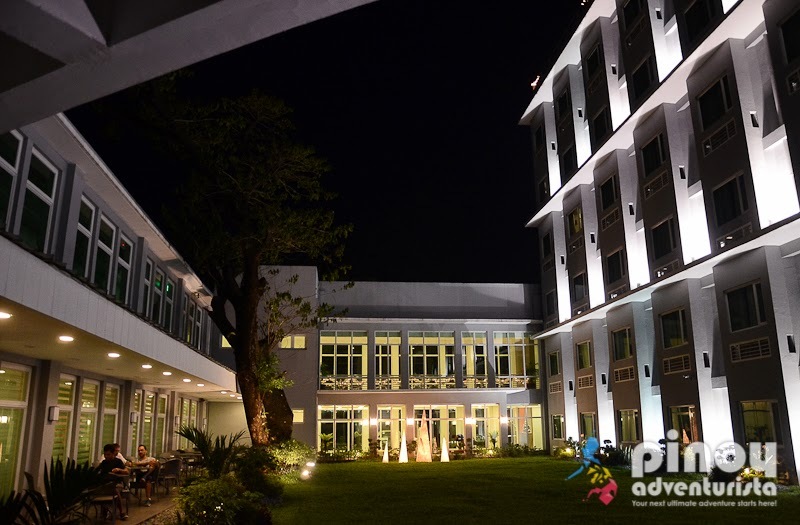 It is just one of the three in the country, the other two are in Microtel Mall of Asia and Microtel Batangas. 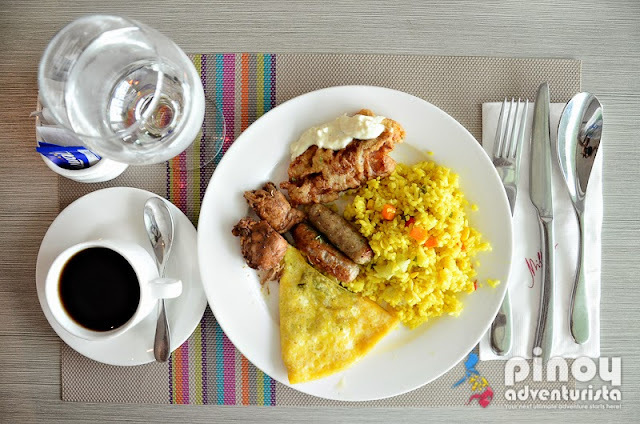 Located at the ground floor, it is an all-day dining restaurant that offers a wide array of international and Filipino cuisines. The buffet breakfast that comes with every booking is also served at Millie's Restaurant from 6:00 AM to 9:00 AM. 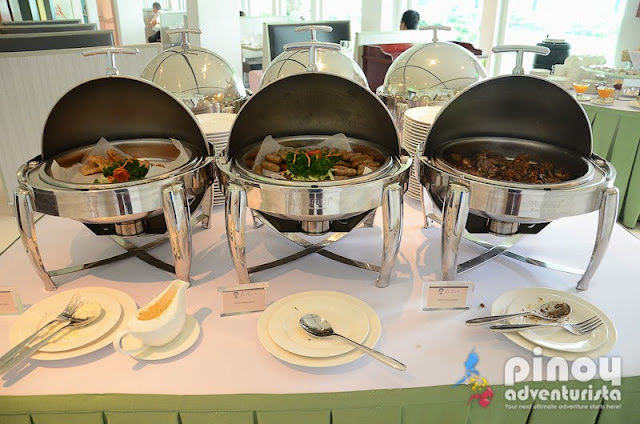 There are different meat, fish, chicken and vegetables dishes to choose from. 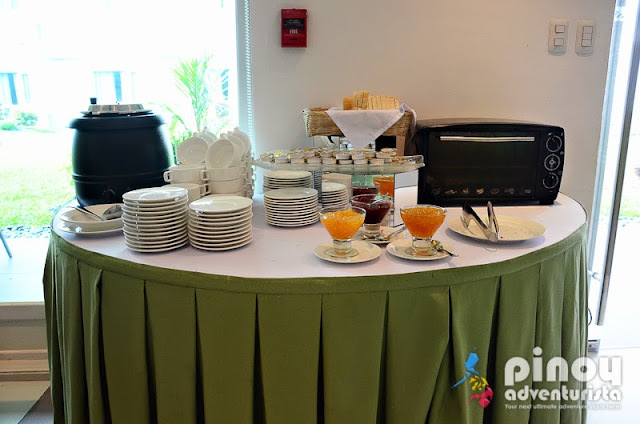 There's also a variety of pastries and fresh fruits for desserts. The dishes change everyday, so even if you're staying for more than 1 night (just like us), you won't get bored with their breakfast buffet because there's always something new to look forward to each day. 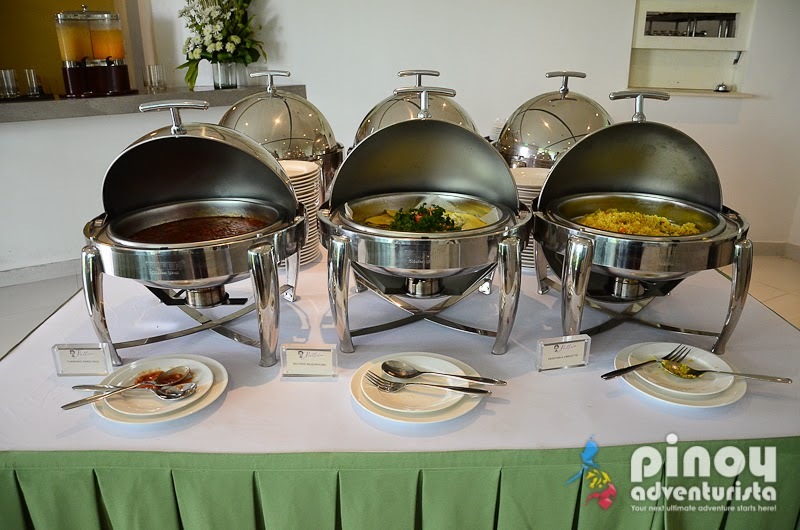 The food were good and we were satisfied in every breakfast we had. 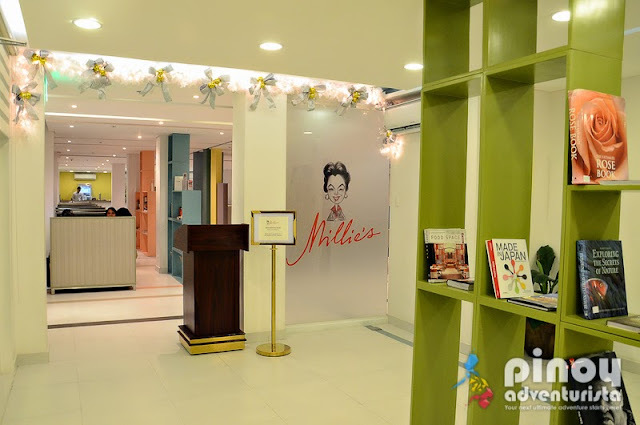 One of the unique features of Millie's Restaurant at Microtel UP Technohub is the al fresco patio or courtyard which is an awesome place to dine, have coffee or just kill some time. WIFI internet connection is available anywhere in the hotel. Connection is fast, reliable and the best things is - it's free! I love it! 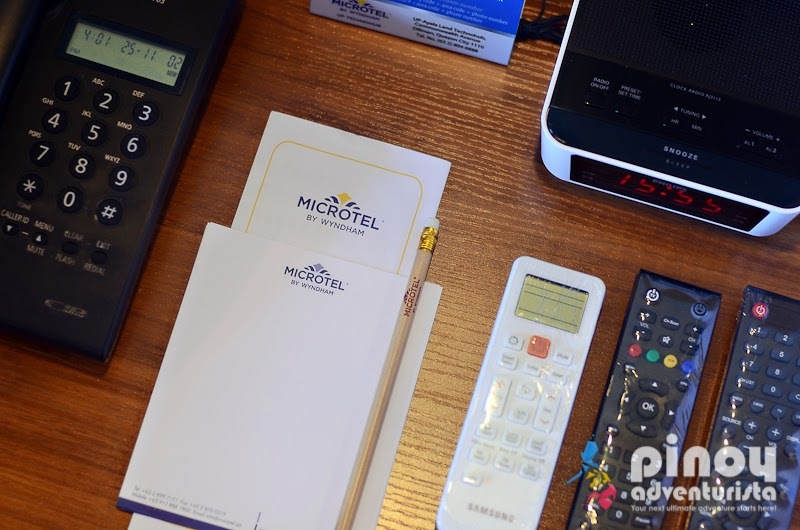 You may check the room availability and updated room rates at their website at www.microtel-uptechnohub.com. Standard check-in time is at 2:00 PM and check-out time is 12:00 noon. Children 11 and below can stay in the room at no extra cost (without extra bed). Maximum number of children allowed to stay for free depends on the room type booked. 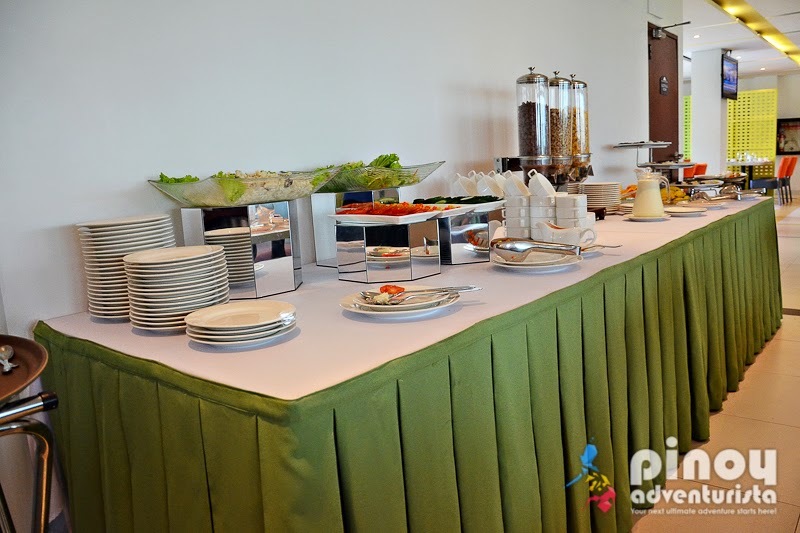 They also have 4 function rooms located at the 2nd floor ideal for private, corporate and other social events such as wedding receptions, birthdays, meetings and conventions. 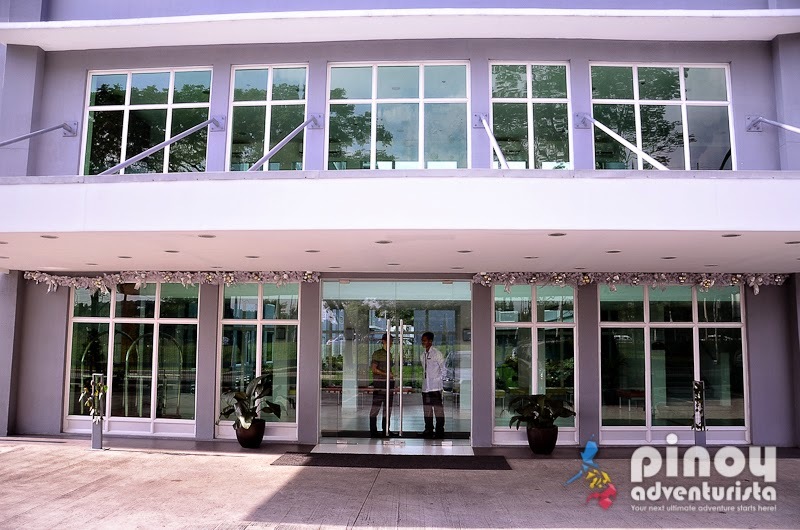 The biggest function hall can accommodate up to 150 people while the 3 other rooms is ideal for 30-40 people. Located at the roof top is a beautiful outdoor swimming pool with lounges, chairs and tables catering to the guests' needs for a relaxing and comfortable stay. We spent most of our time here just lazying at the comfortable chairs at the pool side while watching the sunset and just hanging around. 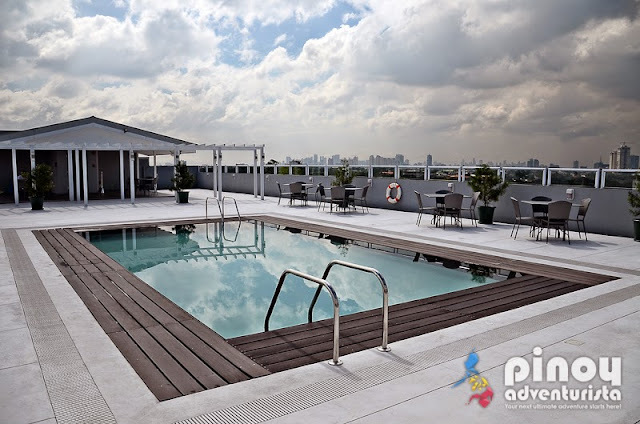 The best time to swim is early morning or in the late afternoon with the stunning views of the sunset and the city as your backdrop. Microtel by Wyndham - UP Technohub's location also gives easy access to the following places. 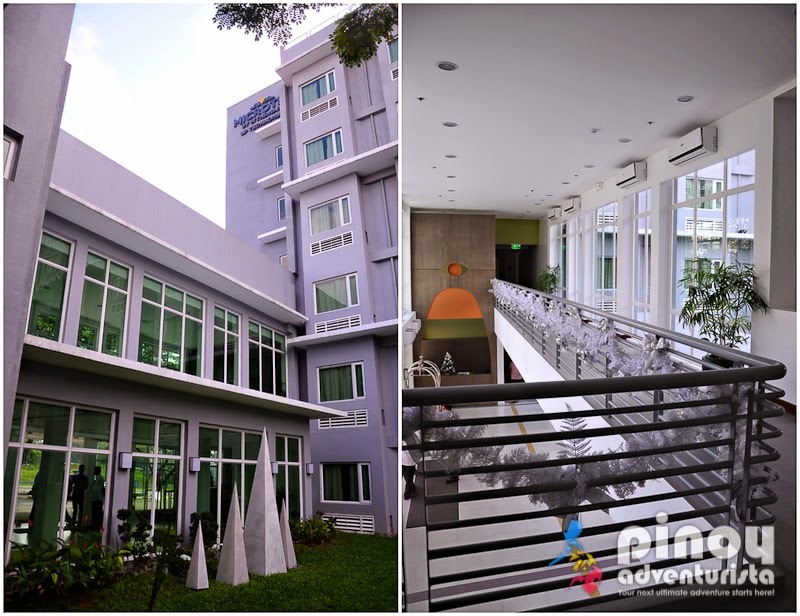 So if you have business transactions or just visiting these places, Microtel UP Technohub is the perfect place stay in the area. 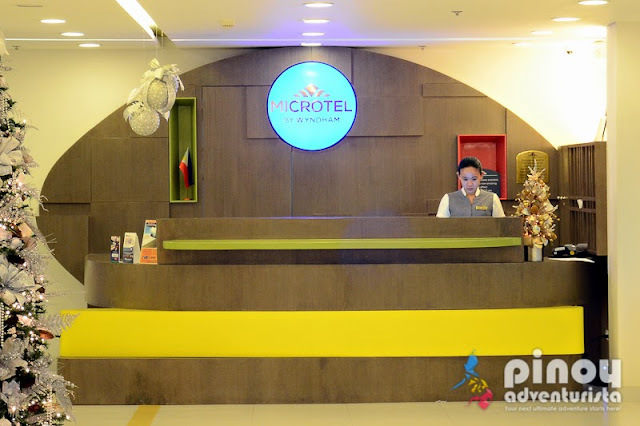 Overall, we had a very comfortable and memorable stay at Microtel by Wyndham Hotel at UP Technohub. 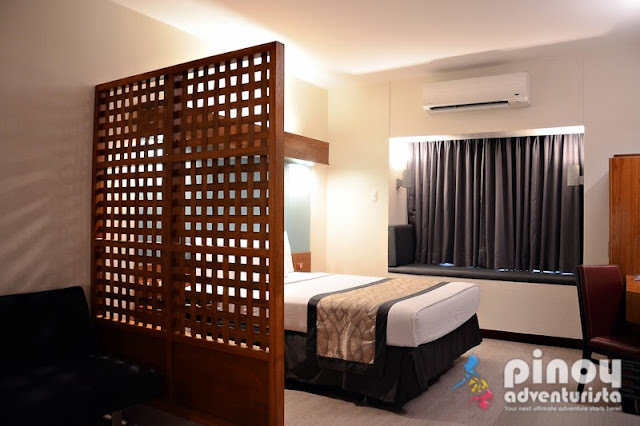 The hotel's modern, comfortable and top-notch room accommodation will certainly take every guest into a totally first-class accommodation experience. 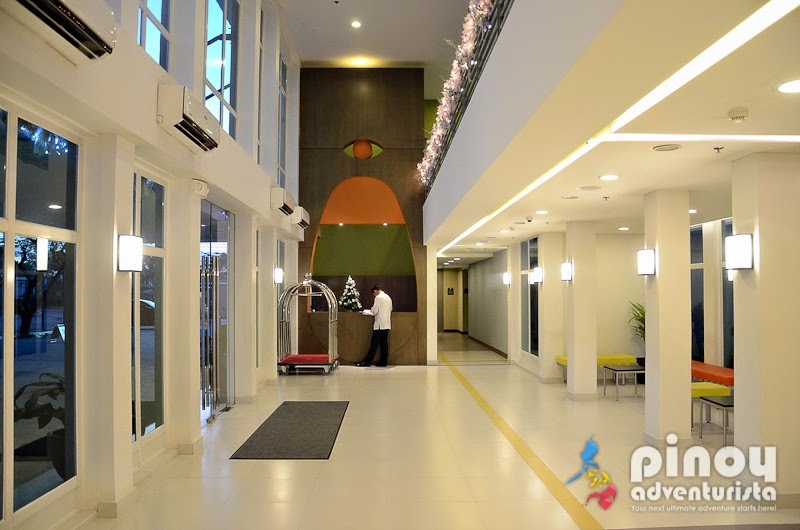 With the hotel's superb amenities, quality service, proximity to restaurants and other business and commercial establishments, it is one of the finest hotels in Quezon City. 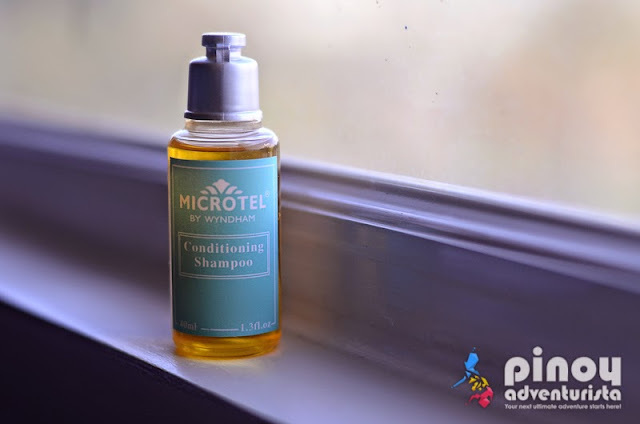 We truly enjoyed our stay at Microtel by Wyndham Hotel at UP Technohub and I recommend it for you to stay in when visiting the area. Two thumbs up! 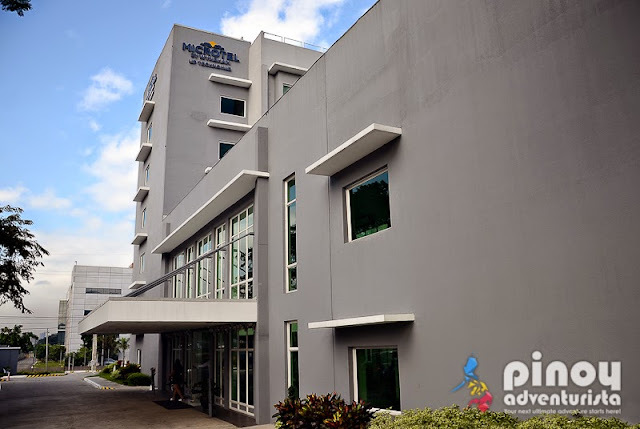 Disclosure: Microtel by Wyndham UP Technohub hosted our 2-night stay in Quezon City. Thank you very much! We really had an awesome stay!